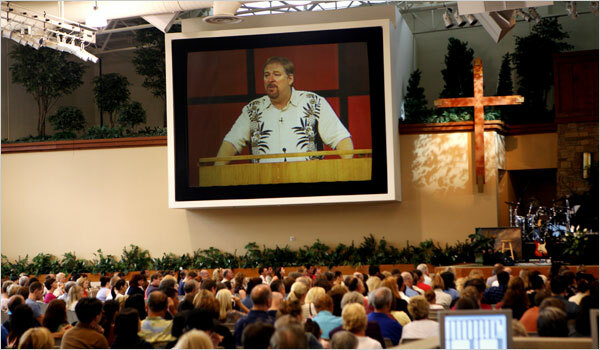 Many pixels have been typed about Rick Warren's homophobic comments, but few have discussed the other reason Warren seems a very inappropriate choice for the Obama inaugural. As I was walking down the street this afternoon I saw volumes of Warren's latest Christmas book all set out and packaged for the holiday shoppers. It's wrapped in a bright red wrapper like some kind of perfume or Christmas video game. So what about Warren's crass commercialization of religion, of turning Christianity into some kind of Dr. Phil therapy book? It seems to me that this is an equally compelling reason to think that Obama's choice here is a bit inappropriate. Sure, Obama appreciates marketing stars...but is that sort of approach appropriate from a religious leader? Is this the "change" we're looking for?